I learned to call January's Full Moon - Silent from my life teachers. This moon, for me, is a reference to the break we receive during the stillness of winter that is indicative of a gathering of new energy. 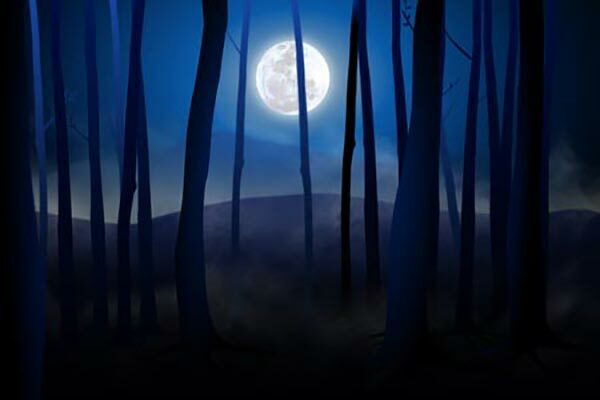 Like the silence before the storm, the Silent Moon offers an opportunity to cleanse past regrets so that we may shift attention to the future growth the arriving new energy will bring. It is a good time to make our plans for the coming year. Not only disgarding the old plans that may not have 'grown corn', but more importantly, to really LET GO of those past expectations that did not have positive outcomes. For me, here in the midwest U.S., the dark and cold of the season seem to help with that cleansing process. As the month progresses, I feel more and more renewed and excited for another growing season. I also like to take the time to be thankful for all the wonderful things the past year has brought, AND for things that went away. Sometimes our journey is slowed and our backs tire from all the extra 'emotional rocks' we carry in our sack that it is a good thing to lighten the load. I am grateful for what I was able to let go of that weighed me down. And yes, sometimes even surprised by what I used to think so important that time showed me I really did not need. This one is also known as the Full Wolf Moon in some tribes for when wolves howled in hunger outside villages, as well as the Old Moon. Green Jasper, Lepidolite, Tourmaline in Quartz, or Watermelon Tourmaline.